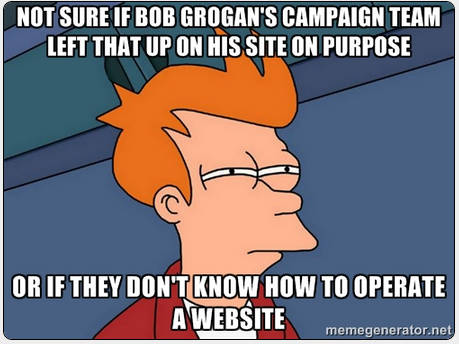 "Not Sure if Bob Grogan.."
We posted the news item about Bob Grogan's own supporters telling him to get out of the race on his own website not 20 minutes ago and we already received a meme generated by a reader. Keep 'em coming, folks. Send your stuff to: tipthetruthteam@gmail.com.